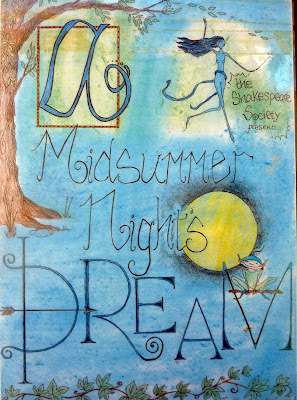 Thanks to our colleagues over at SCC Art for re-discovering the lovely poster above, which was created for the 2002 Shakespeare Society production of A Midsummer Night's Dream (four years before this blog started). This was designed by OC Emily Archer as a drawing which pupils were then invited to colour and decorate as part of a competition, and this version is by Johnny Hollis, then in I form, now an Old Columban. Emily Archer's first solo exhibition opens this Thursday in the MTSL in Dublin: more here.